Initially educated in agriculture at Cornell University, Bromfield transferred to Columbia University in 1916 in order to study journalism. In 1917, he entered the war with the American Field Service in France and was subsequently decorated for his war contribution. Following the war, he returned to New York City and began working as a journalist. 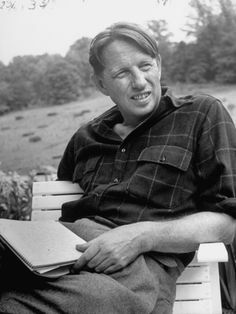 His first novel, The Green Bay Tree appeared in 1924 and is the opening of a tetralogy which made his literary reputation. In 1925, he moved to France and continued work on his tetralogy. The four works culminated in A Good Woman in 1927. The third in the series, Early Autumn won him the Pulitizer Prize in 1926. He returned to America in 1938 when war seemed imminent and acquired a large farm near his Ohio birthplace. He became a strong adherent of organic farming and conservation. In addition to his novels, Bromfield also wrote some non-fiction and some plays. His novels were all best-sellers and many were made into films. His works include Possession (1925), The Strange Case of Annie Spragg (1928), A Modern Hero (1932), The Farm (1933), The Rains Came (1937), Night in Bombay (1940), Mrs. Parkington (1943), Pleasant Valley (1945), Malabar Farm (1948), Mr. Smith (1951) and From My Experience (1955).